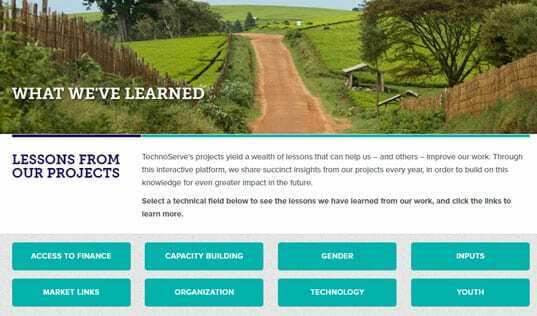 TechnoServe is helping to pave the way toward a drug-free Peru by supporting 10,000 coffee-farming families in former coca-growing regions to improve their productivity and access more profitable markets. Elías Faustino and Hermelinda discuss coffee production at the CAFE launch event. On their farm in Huanuco, Peru, Elías Faustino and his wife Hermelinda used to plant coca, the principal ingredient in cocaine. Back then, their valley was dominated by the drug trade, which brought coca growers a little bit of money and a constant threat of violence. 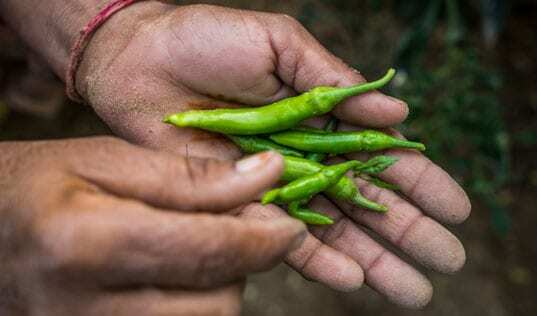 With the security situation weighing on them, and the Peruvian government eager to eradicate coca from the valley, the couple realized they needed to make a change. “Growing coca, we had work, but no future,” Elías said. After thinking through the alternatives, the couple decided to replace their coca with coffee trees. 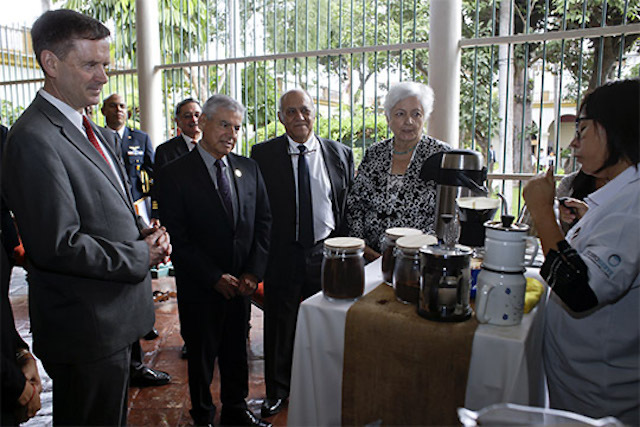 USAID Administrator Mark Green, Prime Minister César Villanueva, TechnoServe Peru Country Director Víctor Ganoza, and DEVIDA Director Carmen Masías prepare to sample coffee produced by CAFE participants. 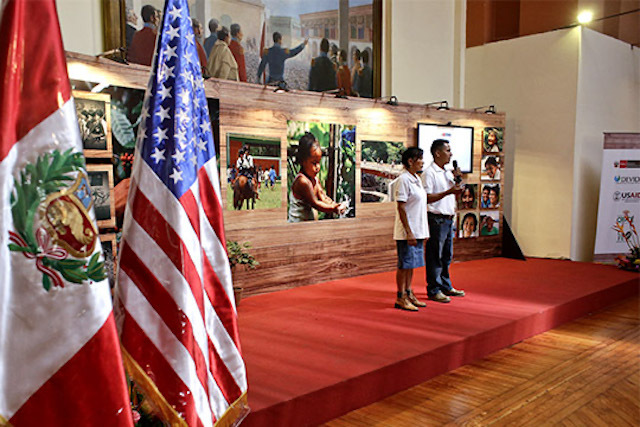 Elías told his story at an event highlighting new alternative development initiatives, including a partnership between USAID, TechnoServe, Althelia Ecosphere, and JDE called the Coffee Alliance for Excellence (CAFE). At the event – hosted in Lima by USAID and Peru’s anti-drug agency, DEVIDA – Elías shared the stage with USAID Administrator Mark Green, U.S. 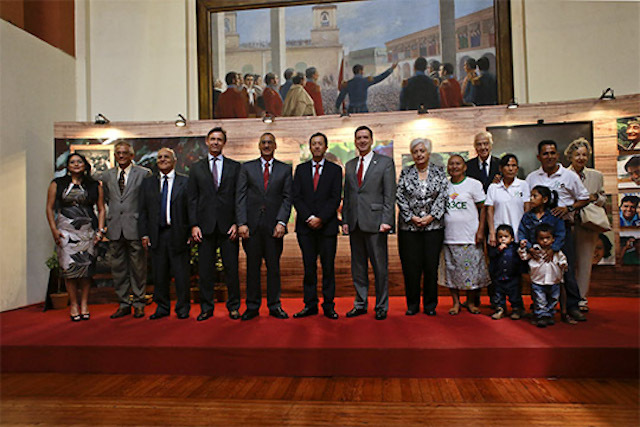 Ambassador to Peru Krishna Urs, Peruvian Prime Minister César Villanueva, and several members of the Peruvian cabinet, reflecting the wide-ranging cooperation behind Peru’s alternative development effort. “If we do things in a coordinated way, we can achieve a drug-free Peru for our children and grandchildren,” said Carmen Masías, head of DEVIDA. CAFE is an important part of that effort. Over the next five years, the project will help 10,000 coffee-farming families in former coca-growing regions of Peru to improve their productivity and access more profitable markets. With improved coffee livelihoods, farmers will continue to grow the crop, and even expand their coffee holdings, rather than go back to growing coca. “The aroma of coffee can overpower the noxious smell of cocaine,” said Prime Minister Villanueva. TechnoServe Peru Country Director Victor Ganoza, and Vice President for Latin America and the Caribbean Andrei Belyi join farmers and U.S. and Peruvian government officials on-stage. For Elías and Hermelinda, the switch to coffee has paid off. 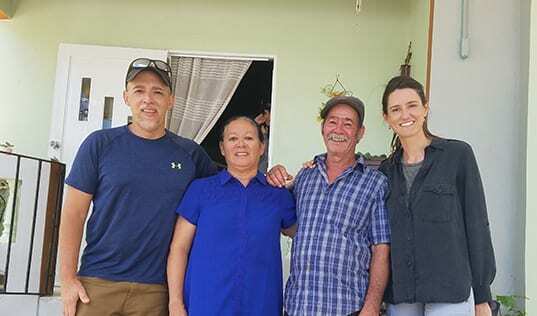 Over the years, their coffee farm has grown in size, and they say that the CAFE project is helping them to professionalize their operations and connect with markets. Their oldest son wants to carry on the family’s coffee-farming tradition, and Elías is excited about what lies ahead. “As a coffee farmer, I feel proud, and I live happily and quietly with my family,” Elías told the audience.